The shortlists would have lot to takeaway including Funding, Acceleration, Mentoring, Enterprise Connects, Hiring support, Concept validation and many more. The best application received by 30th Nov’13 would also get a chance to attend the blackbox.vc connect program in Silicon Valley absolutely free (logistics and stay included)! Using Google+ or Twitter, tell google what you would do if you had Glass, starting with the hashtag #ifihadglass. The deadline for applications is February 27th. If you are chosen, google will reach out to you with an invitation to become a Glass Explorer (please remember to follow us so that we can contact you directly). Explorers will each need to pre-order a Glass Explorer Edition for $1500 plus tax and attend a special pick-up experience, in person, in New York, San Francisco or Los Angeles. 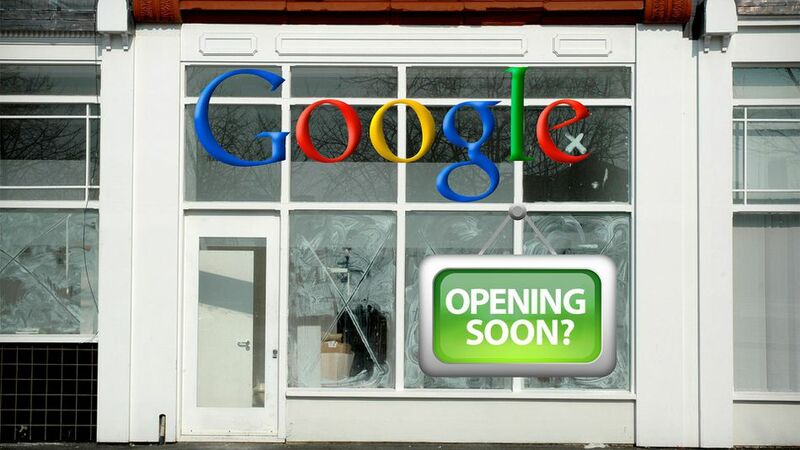 Google Retail Stores Coming Soon ? The mission of the stores is to get new Google Nexus, Chrome, and especially upcoming products into the hands of prospective customers. Google feels right now that many potential customers need to get hands-on experience with its products before they are willing to purchase. Google competitors Apple and Microsoft both have retail outlets where customers can try before they buy. The decision to open stores, is in sync with drawing up plans to take the Google Glass to the public. The leadership thought consumers would need to try Google Glass first hand to make a purchase. Without being able to use them first hand, few non-techies would be interested in buying Google’s glasses (which will retail from between $500 to $1,000). Google is also said to be thinking about marketing a smart watch, so that’s yet another potential device for Google to place on the shelves. & who knows what else Google may have on the horizon? It will be interesting to see what kind of presenceGoogle gives motorola devices in these stores, assuming they actually do open. On Christmas Eve Google will be proudly showcasing a preview of Santa’s dashboard the technology that powers his sleigh during his around-the-world journey. Google received this special preview from one of Santa’s many developer elves, who are hard at work in the North Pole helping Santa prepare for his big day. Santa’s dashboard featuring the latest and greatest in Google Maps technology and sleigh engineering will allow you to follow his progress around the world, and also learn a little about some of his stops along the way. Our friendly elves have also invited you to explore Santa’s village while Santa gets ready for his journey. So go ahead and explore his village, you might just find some fun activities and meet some interesting elves. 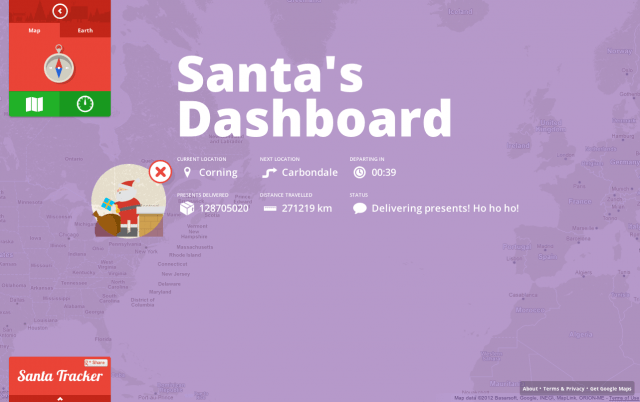 On the Google Santa Dashboard, viewers can spot the virtual character’s exact location, the next stop, seconds left until departure, and how many presents have been dropped off, using Google Maps and Google Earth. The Santa Tracker is powered by a custom algorithm that charts his travels from city to city, the team writes. Before the organizations shift gears to track Santa, there are plenty of mobile games on both websites for children to get acquainted with Santa, Mrs. Claus, elves and the reindeer. Google’s well-designed and festive HTML5 website offers holiday-themed games, personal calls from Santa and a chance to explore Santa’s village. There are plenty of worthy hidden features to dig up. Which tool will you likely use to track Santa NORAD’s Santa Tracker with Bing Maps or Google’s Santa Tracker?